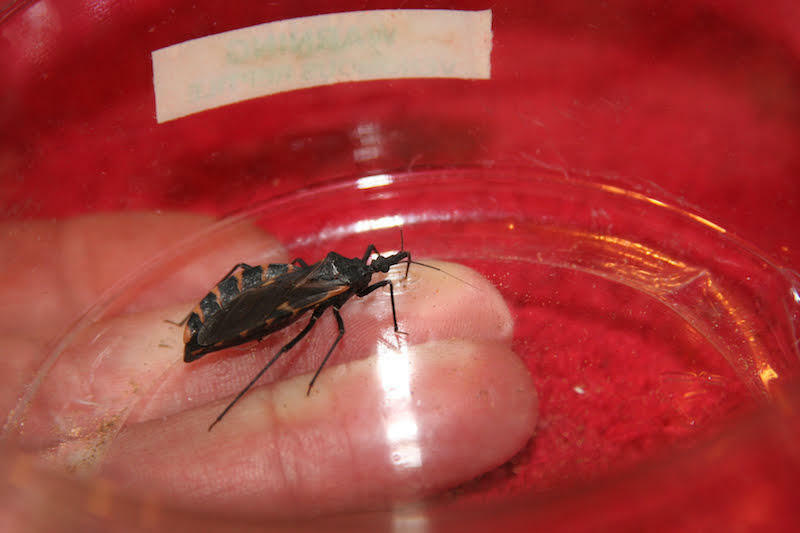 Chagas disease is blamed for more than 12,000 deaths each year. You know how some bugs – like mosquitos – can transmit illnesses, like the West Nile virus or malaria, through a bite? Well, a bug with a cute nickname and a disgusting habit may be transmitting Chagas disease to Texans across the state. The insect is a bloodsucker known as the “kissing bug,” but it’s not the bloodsucking that’s making people sick. That's probably because symptoms like body aches, fever, fatigue, diarrhea, loss of appetite and vomiting, mimic the symptoms of the flu. UT El Paso biologist and researcher Ian Etheridge is an avid outdoorsman who loves to camp and hang out with his dogs. He had no idea that you could catch the disease in Texas. The bottom line? You might want to do a bit of online research before your next outdoor trip.